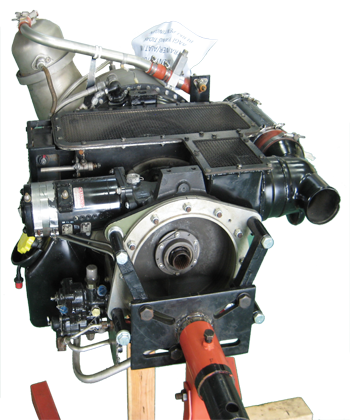 The Auxiliary Power Trainer Model AE-20 is a combination of a real APU from a large airplane and computer based training (CBT). This combination not only provides hands-on training, but also reinforces the knowledge gained in classroom lectures. The APU is mounted on a mobile stand that facilitates easy access to all parts for removal and assembly by the students.